We are dedicated to publish our findings and to inform the scientific and implementing communities. The World Health Organization has coordinated two of our previous meetings, The Bill and Melinda Gates Foundation, Oslo University Hospital, Merck Serono, IRSES, University of Copenhagen and The Norwegian Research Council have financed others. These meetings made it possible to discuss the difficult issues of the project face to face with experts, ensure their feedback and their blessings. We are indebted to those that made it possible logistically, scientifically and financially. 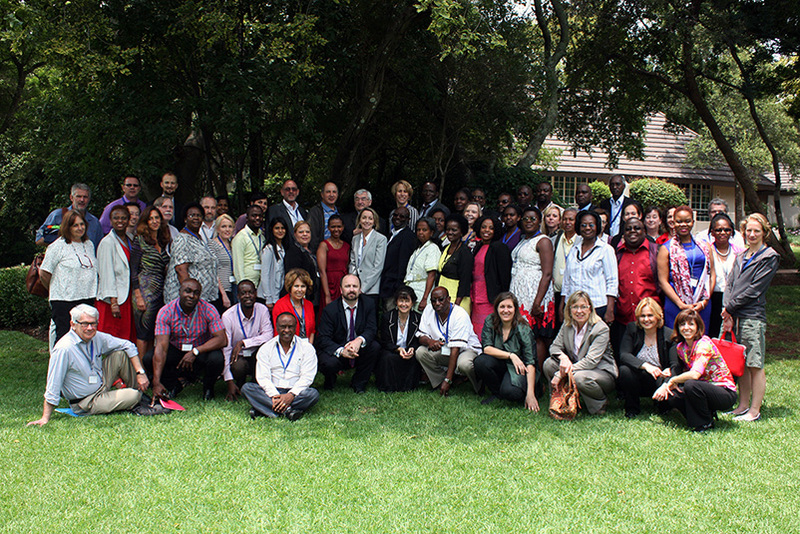 Experts gathered to share knowledge and discuss solutions to tackle the lack of research on Female Genital Schistosomiasis (FGS) as a risk factor for HIV and as a cause of clinical disease. FGS is a very common complication of schistosomiasis. The workshop explored how schistosomiasis and in particular FGS may impact on the acquisition of HIV. Participants included medical researchers, gynaecologists, public and private organisations and governments, especially from African countries. The workshop emphasised the need for further research to determine the role of FGS on HIV incidence in Sub-Saharan Africa, and the implications of such knowledge on the treatment regimens and public health action. Please see the webpage for more information, participant list, presentations and photos. 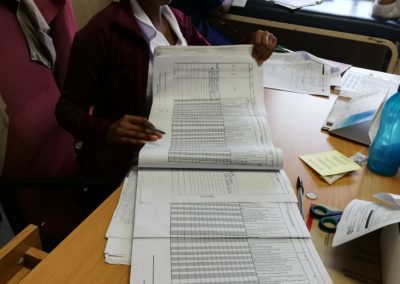 Closing the gap in knowledge by making a Pocket Atlas on Female Genital Schistosomiasis (FGS) for health professionals. The meeting gathered around 25 experts on FGS, representatives from the WHO and from African countries where FGS research has been done. In the course of five days the group looked at typical signs such as lesion s on the vaginal wall or on the cervix. The four different FGS clinical findings are described: grainy sandy patches, homogenous yellow sandy patches, rubbery papules and abnormal blood vessels. The atlas has several examples of each type of damage and it contains images from Madagascar, Zimbabwe and South Africa. By the end of 2015 the FGS-Pocket Atlas will be widely and freely distributed to health professionals in Sub-Saharan Africa. Read more about the FGS- Pocket Atlas. 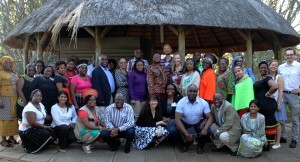 The consensus meeting marked the kick-off for the VIBE project on female genital schistosomiasis in South Africa. Sixty experts in schistosomiasis, tropical diseases, gynaecology and colposcopy met in Copenhagen to discuss the case definition of female genital schistosomiasis. 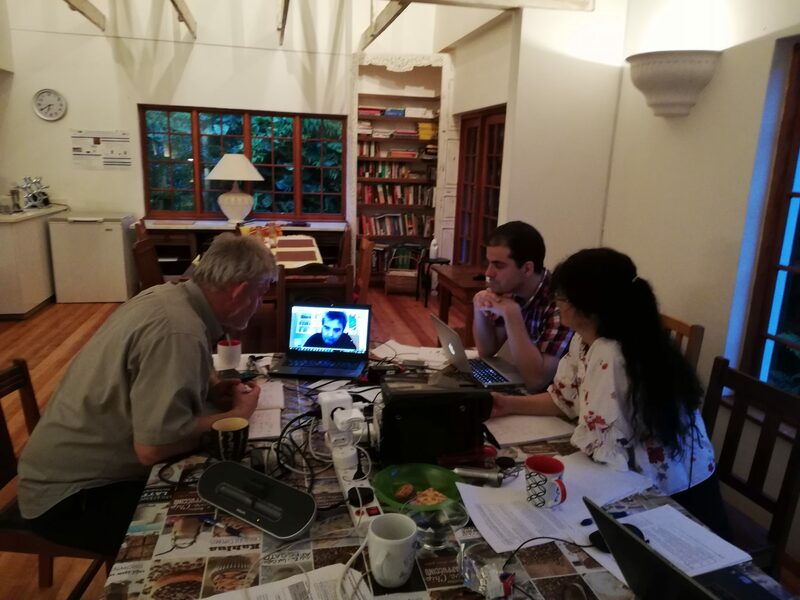 The consensus meeting which considered clinical and laboratory results from several African studies concluded that one of three clinical findings may serve as an adequate clinical diagnosis for genital schistosomiasis in patients from S. haematobium endemic areas: (1) grainy sandy patches, (2) homogenous yellow, aceto-negative sandy patches or (3) rubbery tubercles alone. 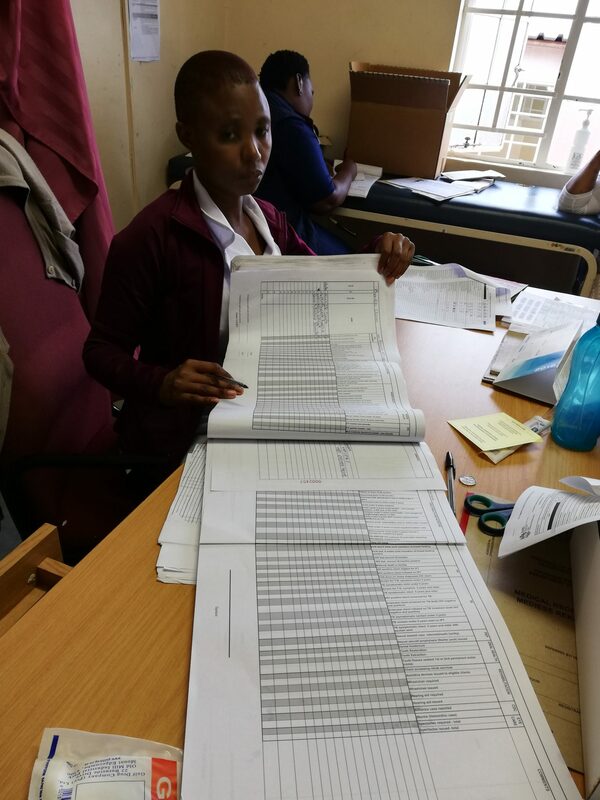 In a rural setting where syndromatic diagnosis is usually done praziquantel may be added to the syndromic treatment protocol for abnormal discharge. For research purposes, the experts concluded that one additional positive laboratory result for confirmation is desirable for study inclusion, for example from urine or serology. 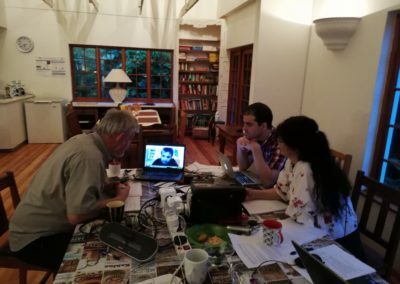 The meeting summarised the latest findings and reviewed the upcoming atlas of genital schistosomiasis. A Working Group convened by the World Health Organization (WHO) has recommended that schistosomiasis haematobia should henceforth be referred to as urogenital schistosomiasis, a term currently in use in francophone scientific literature. There is biological plausibility of a possible link between female genital schistosomiasis and HIV acquisition in women. 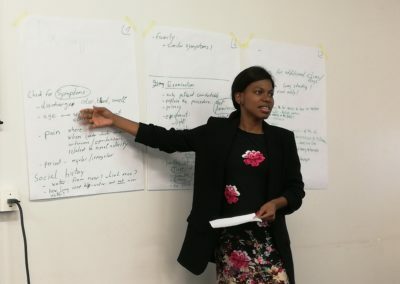 The Working Group discussed newly emerging evidence for the links between female genital schistosomiasis and HIV and recommended that more studies be carried out in the short and medium-term to fully assess the extent to which control of schistosomiasis could contribute to reducing HIV acquisition in women. It also proposed further clinical studies and identified opportunities to evaluate the impact of schistosomiasis control programmes on the prevention of HIV, in addition to the many other benefits already documented in poor communities in sub-Saharan Africa. Forty participants met to review the existing data on the association between Schistosoma haematobium and risk of HIV infection among women. 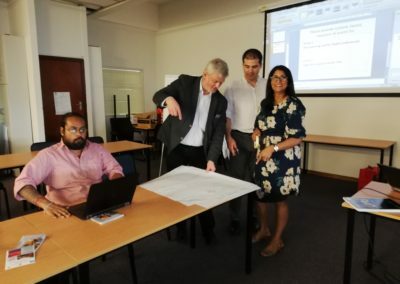 Schistosomiasis and HIV researchers discussed what additional data is needed to strengthen the association and identified several research priorities that could be addressed in the near and medium-term to inform policy recommendations. Alain Marcel Rahetilahy, Chef de Service, Lutte contre les Maladies Endémiques et Négligées, Ministère de la Santé Publique, Madagascar. 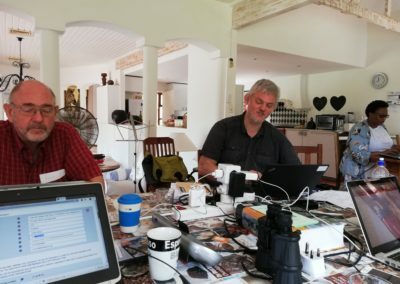 Alan Fenwick, Director, SCI Professor of Tropical Parasitology, Imperial College London. Amadou Garba, WHO Headquarters, Switzerland. Amaya Bustinduy, Paediatric Infectious Diseases Clinical Research Fellow, St. George’s University of London. Barbara Mukasa, Executive Director, Mildway, Uganda. Bellington Vwalika, Consultant Obstetrician and Gynaecologist, University Teaching Hospital, Zambia. Benjamin Marfo, Deputy Program Manager, NTDs, Ghana. Bhavani Poonsamy, Laboratory Manager, Parasitology Reference Laboratory, Centre for Opportunistic, Tropical and Hospital Infections, National Institute for Communicable Diseases, South Africa. Bodo Sahondra Randrianasolo, Medical Doctor, Independent Consultant, Madagascar. Bonnie Webster, Centre for Neglected Diseases, Imperial College London, UK. Borghild Roald, Professor, Faculty of Medicine, University of Oslo, Norway. Charles Emile Ramarokoto, Medical Doctor, Institut Pasteur de Madagascar. Charles King, Professor of International Health, Center for Global Health and Diseases School of Medicine, Case Western Reserve University, USA. Claude Oeuvray, Head of Fundraising and Stakeholder Management, External Translational Innovation Platform Global Health R&D, Merck KGaA, Switzerland. Claudia Cecalupo, Conference organising committee, Senior Consultant, IKU Consulting, Switzerland. Collen Masimirembwa, President and Chief Scientific Officer, African Institute of Biomedical Science and Technology, Zimbabwe. Deon Bezuidenhout, Site Relationship and Operations Lead / Clinical Trial Manager, Merck KGaA, South Africa. Desiree du Plessis, Medical Scientist, Centre for Opportunistic, Tropical and Hospital Infections, National Institute for Communicable Diseases, South Africa. Elisabeth Kleppa, Medical Doctor/PhD Candidate, Norwegian Centre for Imported and Tropical Diseases, Department of Infectious Diseases, Oslo University Hospital, Norway. Ellen Townley, Medical Officer, Henry M. Jackson Foundation/national Institutes of Health, US. Elly Kourany-Lefoll, Head of Neglected Tropical Diseases Drug Development, External Translational Innovation Platform Global Health R&D, Merck KGaA, Switzerland. Emmy Kavere, Assistant Research Officer, Center for Global Health Research, Kenya Medical Research Institute, Kenya. Ennet Chipungu, Obstetrics and Gynecology Specialist; Deputy Head of Department, Ministry of Health, Bwaila Maternity Hospital;, Freedom from Fistula Foundation, Malawi. 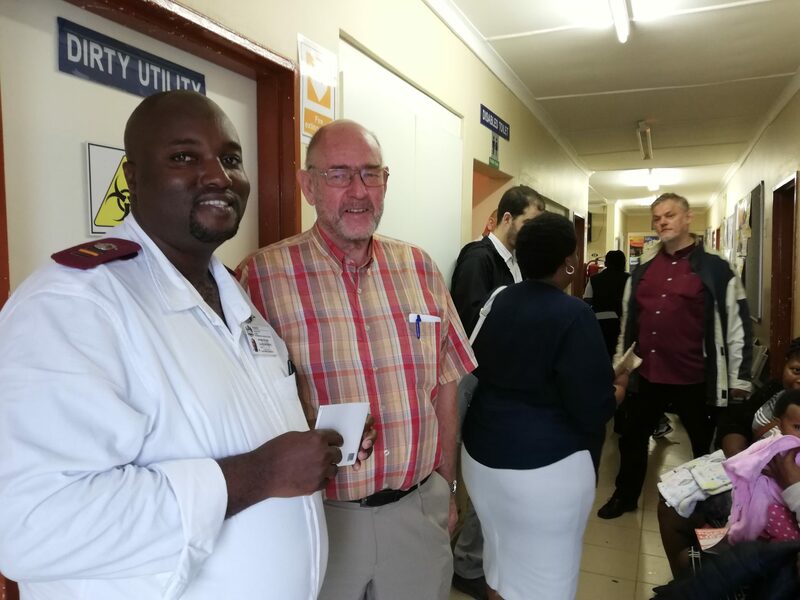 Eyrun F Kjetland, Conference organising committee; Honorary Senior Lecturer, Norwegian Centre for Imported and Tropical Diseases, Department of Infectious Diseases, Oslo University Hospital, Norway/Discipline of Public Health Medicine, University of KwaZulu-Natal, South Africa. Francis Hyera, Head of Department, Public Health Medicine, University of Limpopo, South Africa. Gita Ramjee, Director, HIV Prevention Research Unit, South African Medical Research Council, South Africa, London School of Hygiene & Tropical Medicine, UK. Govert van Dam, Senior Research Scientist, Department of Parasitology, Leiden University Medical Center, The Netherlands. Hashini Galapaththi-Arachchige, Medical Doctor/PhD Candidate, Oslo University Hospital, Norway. Hermann Feldmeier, Professor of Tropical Medicine, Institute of Microbiology and Hygiene, Charité University Medicine, Germany. Huldah Sang, Graduate Research Fellow, Center for Global Health Research, Kenya Medical Research Institute, Kenya. Ida Amelie Helgesen, Communications Officer, BRIGHT Research/ Oslo University Hospital, Norway. Idrissa Talla, Directeur, Lutte contre la Maladie, Ministère de la Santé et de l’Action Sociale, Senegal. Isaac Phiri, Deputy Director Epidemiology and Disease Control in charge of Communicable Diseases Control & Prevention, NTD Coordinator, Ministry of Health and Child Care, Zimbabwe. Janis Lazdins, Independent R&D Advisor, Switzerland. Jennifer Downs, Assistant Professor of Medicine, Center for Global Health, Weill Cornell Medical College, USA, Department of Medicine, Bugando Medical Centre, Tanzania. Jennifer Dent, President, BIO Ventures for Global Health (BVGH), USA. John Frean, Associate Professor and Head of Centre, Centre for Opportunistic, Tropical and Hospital Infections, National Institute for Communicable Diseases, University of the Witwatersrand, South Africa. Joyce Tsoka-Gwegweni, Associate Professor, Dept. of Public Health, School of Nursing & Public Health, University of KwaZulu-Natal, South Africa. Jutta Reinhard-Rupp, Conference organising committee, Head of External Translational Innovation Platform Global Health R&D, Merck KGaA, Switzerland. Karen Levy, Director, Africa Region, Deworm the World Initiative, Evidence Action, Kenya. Karien Viljoen, Medical Epidemiologist, National Institute of Communicable Diseases, South Africa. Kate Hawkins, Director, Pamoja Communications, UK. Kumud Henriksen, Participant Support, Centre for Bilharzia and Tropical Health Research, Norway. Lester Chitsulo, Public Health Consultant, Malawi. Louis-Albert Tchuem Tchuenté, Director, Centre for Schistosomiasis and Parasitology, Cameroon. Lucille Blumberg, Head, Division of Public Health, National Institute of Communicable Diseases, South Africa. Luisa Marena, Associate Scientist, RBM, Merck KGaA, Italy. Margaret Gyapong, Director, Dodowa Health Research Centre, Ghana. Michael Hsieh, Associate Professor, The George Washington University, USA. Michael Makanga, Director South South Cooperation, Head of Africa Office, The European and Developing Countries Clinical Trials Partnership (EDCTP), South Africa. Moses Chimbari, College Dean of Research, College of Health Sciences, University of KwaZulu-Natal, South Africa. Myra Taylor, Conference organising committee, Professor Discipline of Public Health Medicine, University of KwaZulu-Natal, South Africa. Nicholas Midzi, Lecturer, College of Health Sciences, Department of Medical Microbiology, University of Zimbabwe. Olufemi Olowookorun, District Family Physician, Ugu Health District, South Africa. Pauline Mwinzi, Chief Research Officer, NTDs Research Unit for Global Health Research, Kenya Medical Research Institute, Kenya. 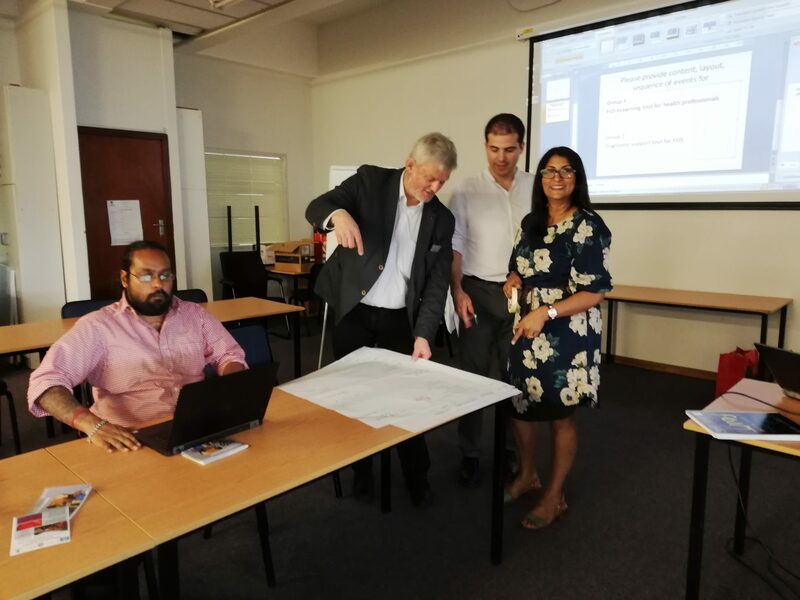 Pavitra Pillay, PhD Candidate, Senior Lecturer, Department of Biomedical and Clinical Technology, Faculty of Health Sciences, Durban University of Technology, South Africa. Peter Leutscher, Infectious Diseases Consultant, MD, PhD, Department of Infectious Diseases, Aarhus University Hospital, Denmark. Peter Makaula, Senior Health Researcher, Research for Health Environment and Development, Malawi. Refilwe Sello, Technical Lead Policy, Family Health International 360, South Africa. Roland Edgar Eddie Mhlanga, Chief Specialist, Obstetrics and Gynaecology, Rob Ferreira Hospital and Provincial Specialist, Obstetrics and Gynaecology, South Africa. 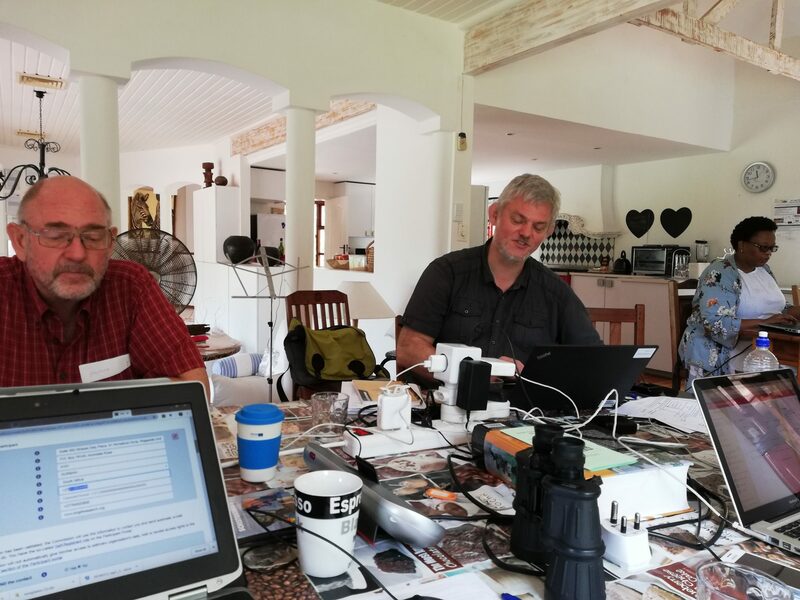 Russell Stothard, Conference organising committee, Professor of Medical Parasitology, Liverpool School of Tropical Medicine, UK. Sandra Fuelbier, Head of Business Operations, External Translational Innovation Platform Global Health R&D, Merck KGaA, Germany. Sibone Mocumbi, Head, Service of Gynecology, Gynecology and Obstetrics Department, Hospital Central de Maputo (HCM), Mozambique. Sigve Holmen, Medical Doctor/PhD Candidate, Institute of Clinical Medicine, Oslo University Hospital, Norway. Siphosenkosi Zulu, Masters student, University of KwaZulu-Natal, South Africa. Sonja Skopp, Director Analytical Development, Chemical and Pharmaceutical Development, Merck KGaA, Germany. Stefan Maron, General Manager Merck South East Africa, Merck KGaA, South Africa. Svein Gunnar Gundersen, Professor, University of Agder, Norway. Takafira Mduluza, Professor of Biochemistry and Immunology, Biomedical Research Scientist, Biochemistry Department, University of Zimbabwe. Thomas Kisimbi, Director, Deworm the World Initiative, Evidence Action, Kenya. Tsakani Furumele, Director, Communicable Disease Control, National Department of Health, South Africa. Vanessa Christinet, Physician Responsible, MD, MIH STI clinic Checkpoint, Switzerland, Research Consultant MSF, Switzerland. Velda Mushangwe-Mtisi, Obstetrician and Gynaecologist, Ministry of Health and Child Care, Zimbabwe. Zilungile Kwitshana, Lecturer, Senior Research Scientist, University of KwaZulu-Natal, South Africa.